Andrea Muraskin manages the social media and website for Sound Medicine News, and contributes web and radio reporting. Prior to joining the Sound Medicine News team, she was a freelance reporter and producer, notably creating the radio feature series’ The Neighborhood Project, The Life Stories Project, and Constitution Indiana at 90.1 WFYI. Andrea was a radio coach for the Indianapolis-based youth media organization Y-Press, where she had the privilege of working with some of the world’s best teen journalists. Andrea is the producer of the Heroic Stories Podcast and the ghostwriter of the book Beginnings, 1948. She has a bachelor’s degree in political studies from Bard College and a certificate in radio documentary from the Salt Institute for Documentary Studies in Portland, Maine. In her spare time, she enjoys biking the flat streets of Indianapolis, comedy open mic nights, and Middle Eastern food. Weeks before school started in Olathe, Kan., earlier this month, the town's school district began its annual effort to get low-income students signed up for dental checkups. 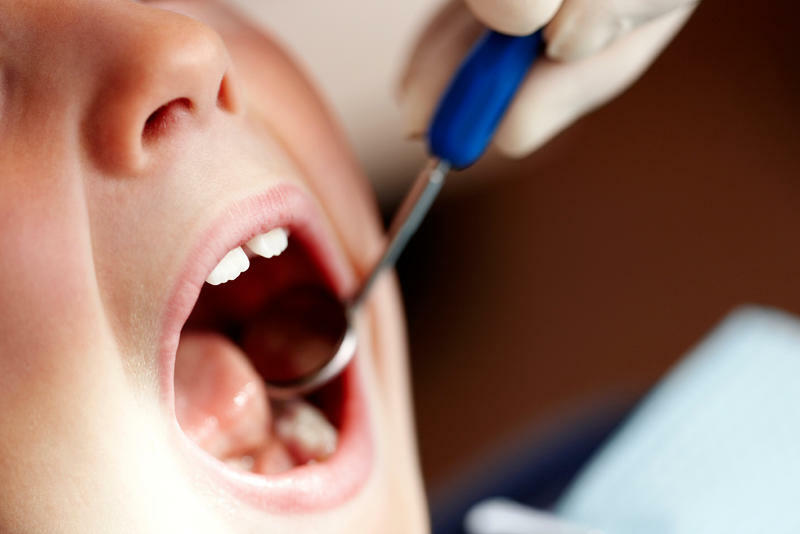 When parents register at the elementary schools that serve the district's poorest students, they are asked whether their children have a dentist. "And if they say no, we say, 'We have a program in our school — a dentist is coming to our school this year,' " says health services director Cynthia Galemore.